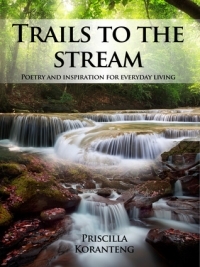 Trails To The Stream: Poetry and Inspiration for Everyday Living, by Priscilla Koranteng (Poised Publishing LLC, 2014, 136 pages). July 4, 2015 (San Diego’s East County) - Priscilla Koranteng, author of two earlier books reviewed by this writer in the East County Magazine; Janju: The Voice of One Girl and Janju: A Village Girl in a City World, and the owner and publisher of Poised Publishing LLC, as well as an HR consulting firm; Poised HR Solutions LLC, has written a moving and insightful book on poetry: Trails To The Stream: Poetry And Inspiration For Everyday Living. 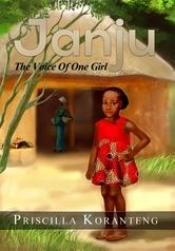 January 27, 2015 (San Diego's East County) - Priscilla Koranteng, an author and businesswoman born in Ghana, West Africa, to a teacher and politician, and who grew up with a lot of optimism and the zeal to achieve the best in all she could, has written a warm and fictional account of a young girl growing up in Africa; Janju: The Voice Of One Girl.